The Tunkhannock community will be transformed into a living Christmas village with the celebration of the 17th Annual Christmas in Our Hometown Friday, Dec. 7, and Saturday, Dec. 8. The event attracts thousands from northeast Pennsylvania and beyond to see the festive decorations, enjoy the entertainment and appreciate the holiday atmosphere. Gannon Associates Insurance is partnering with Allstate Insurance as the presenting sponsor again this year. 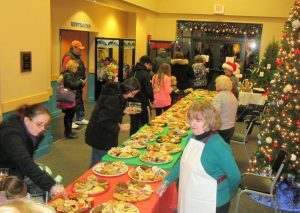 The event is organized annually by the Tunkhannock Business and Professional Association. This year, TBPA is continuing a holiday decorating contest sponsored by Select Sire Power. More information regarding participants will be available during the event. 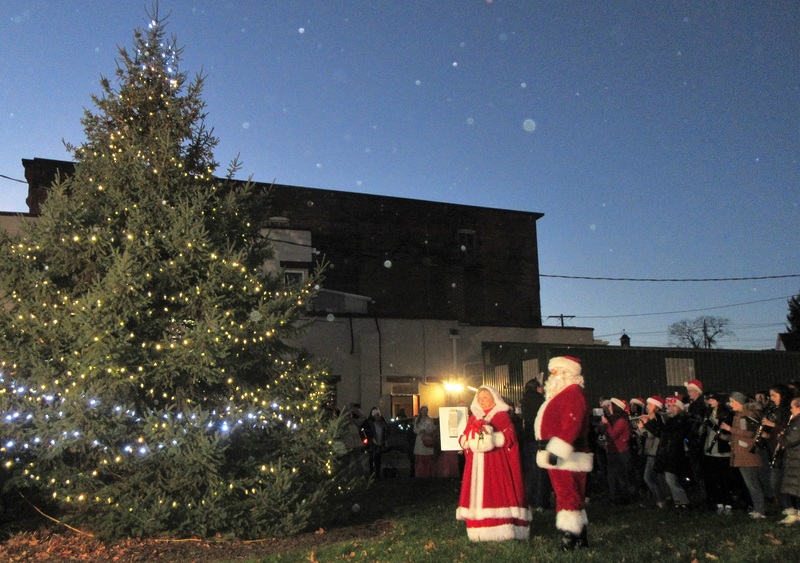 The holiday events kick off with a tree lighting ceremony on Friday at Peoples Security Bank on Tioga Street. The event will be broadcast live on Eyewitness News during the 5pm show with Morning hosts Chris Langlois and Kelly Byrne on hand to greet Santa and Mrs. Claus. 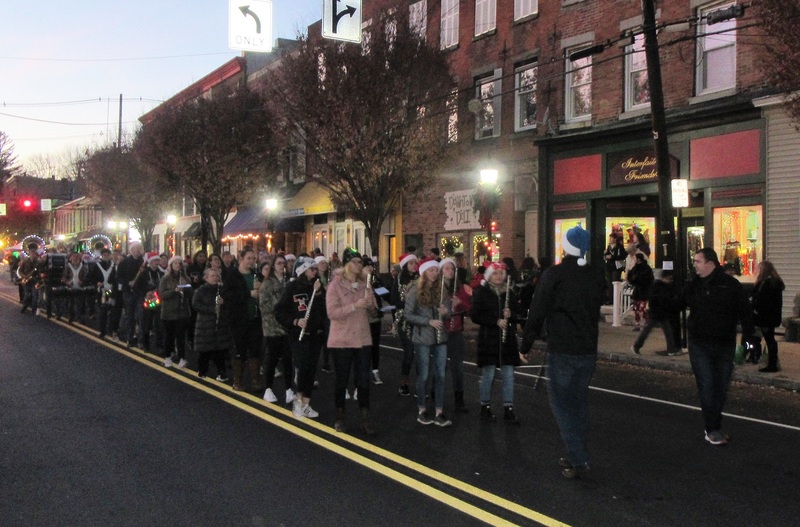 “This year, we are thrilled to announce that the Tunkhannock Area High School Band will be back to accompany Santa and Mrs. Claus and other dignitaries as they travel down Tioga Street toward Peoples Security Bank and the tree lighting,” relates Nancy Parlo, TBPA director. “Additionally, members of the Little League Softball East Region’s Championship team will lead the parade,” she added. The parade will kick off close to 4:30 pm near Twigs and travel down Tioga Street to People’s Security Bank. Live broadcasts from the event will continue during Eyewitness News’ evening news programs. 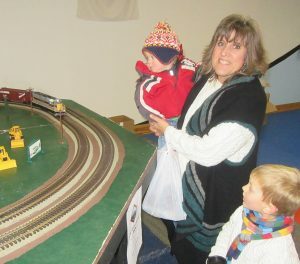 Throughout both evenings of the event, visitors to “Christmas in Our Hometown” will be treated to horse and wagon rides, ‘Living Window’ entertainment coordinated by Whipple Performing Arts Studio on Friday, along with ice carvings, and model train displays with the Endless Mountains Model Railroad Club at Robinson Martial Arts Studio. On Friday, these events will be held 5 to 9 pm. Saturday these events will repeat from 3 to 8 pm. Santa and Mrs Claus will greet visitors during the two day event. The Tunkhannock Assembly of God Church will present The Living Nativity both evenings at 7:30 weather permitting. GEM 104’s Hoyt Keiser will be broadcasting live on Dec. 7 from 5 to 8 pm. The Dietrich Theater will host free showings of the movie “Emmet Otter’s Jug-band Christmas,” Friday and Saturday at 5:30 and 7 p.m. sponsored by Ace-Robbins, Inc. The Dietrich will also kick-off its annual Cookie Walk on Friday evening from 5 to 9 p.m. and then again on Saturday from 11 am until the cookies are gone. Only $6 to fill the provided take-out box. Christmas in Our Hometown” has a tradition of being a gift to the community so that all activities are free to those attending. Additionally, many area churches, businesses and civic groups will be set up along historic Tioga Street to distribute free treats such as hot cocoa, roasted nuts, cider, cookies and candy. This year, the Dietrich Theater is hosting the “Living Nativity,” presented by the Tunkhannock Assembly of God church on the Bridge Street side of the theater with presentations at 7:30 pm on Friday and Saturday evening. Saturday activities kick off with a Reindeer Run hosted by the Wyoming County United Way. The event includes a 5K Race and shorter Fun Run. Registration is 8 am and the races kick off at 9. Participants are encouraged to wear holiday attire and sing favorite carols. For more information contact the United Way. The Endless Mountain Council of the Arts is hosting a Holly-Day Sale with artisans made items including hand-knit items along with Pottery, jewelry and ornaments on Saturday from 10 am to 3 pm. Sale located at the EMCA gallery at 302 W. Tioga St. The Wyoming County Historical Society is hosting a special holiday exhibit from 10 am to 4 pm at the society building at the Corner of Harrison and Bridge St. Items include Wyoming County Commemorative Ornaments and a Gift Shop with Floral Arrangements, Snowmen, Santas and Christmas Ornaments. The will be a raffle drawing and County maps are also available for sale. TBPA is hosting a pet parade at 11 am sponsored by the Endless Mountains Veterinary Center. Center staff enjoy developing the themes for the three different categories that will be awarded. Awards will be presented for the pets that best represent the Christmas Story, are Best Coordinated, and Most Festive. 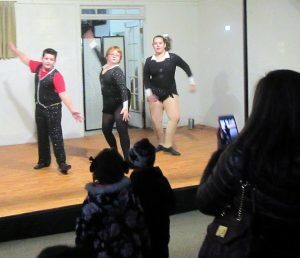 Also scheduled is a holiday workshop at the Wyoming County Cultural Center/Dietrich Theater from 11 am to 12:30 pm, with activities including cookie decorating, holiday crafts and singing, along with creations by the balloon lady. The Endless Mountains Model Railroad Club will share their model train display at Robinson’s Martial Arts Institute, Tioga St. from 1 to 7 pm. At 2:30, GEM radio personality Hoyt Keiser will do a special reading of “Twas the night before Christmas” in the front window of Greenwood’s Furniture. The first 10 children to arrive will receive a free copy of the book, complements of Paradise Gifts and Books. Horse and Wagon rides will run from 3 to 7 pm. Rides depart from the corner of Pine and Tioga St.
Saturday evening’s tree lighting is at 5:30 pm at Peoples Security Bank. Other Saturday evening activities include visits with Santa and Mrs. Claus, ice carving at the Old Store on Tioga St. and a Living Nativity at 7:30 along the side of the Dietrich Theater. The celebration does not end! 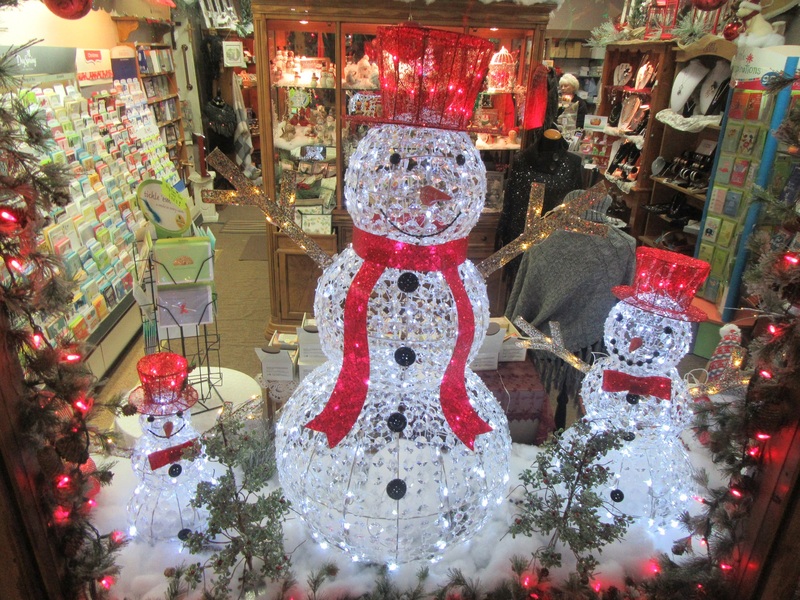 Gay’s True Value is hosting Santa and Mrs. Claus on Sunday, Dec. 9 from 12:30 to 4 pm. Bring the kids and get a Free Picture with Santa. Window Decorations are a popular part of Tunkhannock’s Christmas in Our Hometown, this is of Paradise Gifts one of 2017 winners. 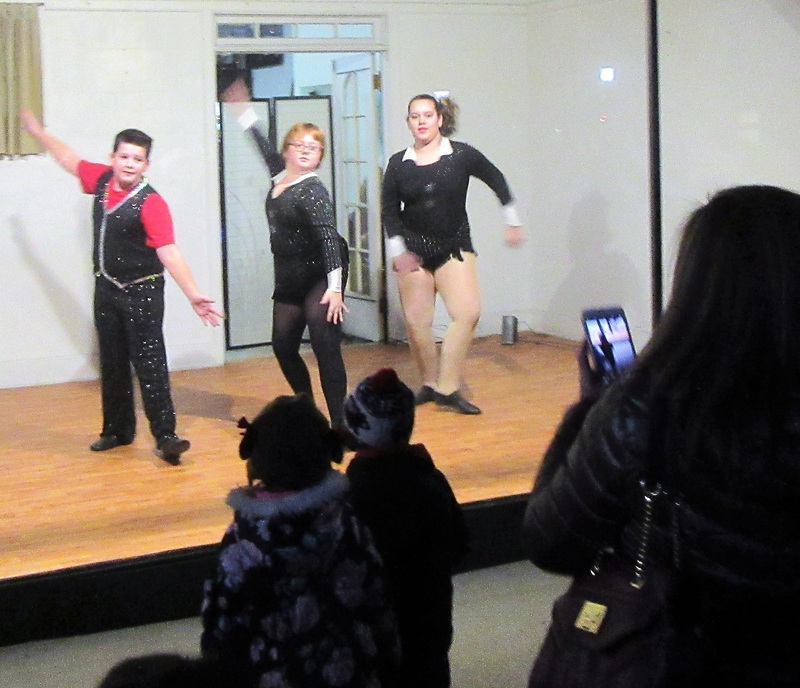 The community welcome’s the 17th annual holiday event Friday and Saturday, Dec. 7 and 8 along the streets of Historic Tunkhannock. 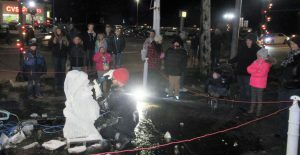 As a gift to the community, events are free and many organizations are on hand to provide free beverages and treats. 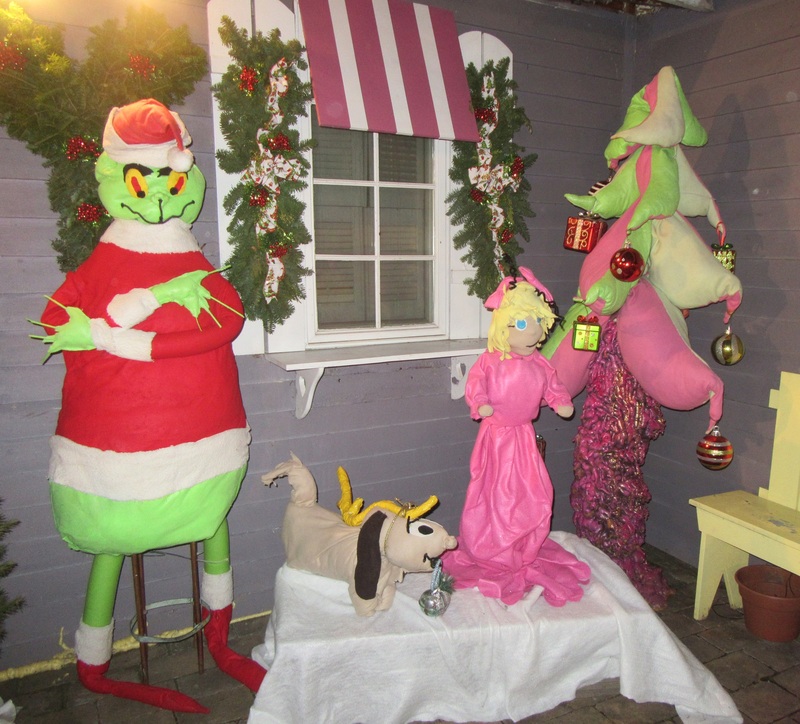 The decorating contest kicks off during Christmas in Our Hometown and continues till Dec. 18.